Tim Paine has a batting average of 19 over the past four Australian first class seasons yet, somehow, he is set to be recalled to Test cricket just weeks away from his 33rd birthday. Media reports emerged late yesterday that wicketkeeper Paine, who was not even picked for Tasmania’s first two Sheffield Shield games, was going to circumvent Australia’s first-class system and vault straight into the Ashes team. Paine’s batting form was so dire in recent seasons that he regularly was unable to get a Shield game for Tasmania, despite them being a very weak side in that period. The Australian Test selectors have made a habit of baffling us all in recent times, like last summer when they bizarrely dumped Callum Ferguson after his debut Test only to randomly pick an out-of-form Nic Maddinson. The selection of Paine would be just as bewildering given his sole first-class century was scored more than 11 years ago in a match where he played as a specialist opening batsman. Since then, Paine’s highest first-class score is 98, made for Australia A against a Zimbabwe XI in Harare in July 2011. Perhaps the selectors were swayed by the third highest score of his career – 92 made against India in a Test match in Mohali seven years ago. 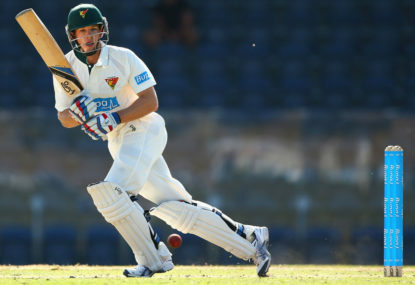 Paine had a brief but fruitful four-Test stint in 2010 as a 25-year-old stand-in for incumbent Test gloveman Brad Haddin, who had an injured elbow. Haddin recovered in time to return for the 2010-11 Ashes but in his absence Paine had flourished, making 287 runs at 36 from his four Tests – two in England against Pakistan and two in India. At that point, in late 2010, Paine looked on track to have a healthy international career and was so highly regarded he was even being spoken of as a potential future Test captain. He had made 2,359 first-class runs at 31, from 44 matches, and was considered to have significant upside in his batting, while also being a fine gloveman. Then, just a month after playing the last of his four Tests, Paine suffered a career-changing injury in a hit-and-giggle T20 game for the Australian Cricketers’ Association “All-Stars”. Paine broke his right index finger and subsequently had half a dozen operations as he had a plate inserted in his finger, only to break it again and for the plate to come loose. The injury reportedly has caused Paine regular discomfort for the past seven years. While his keeping has remained neat, the expected upside in his batting never materialised and he’s been viewed as a player who was never able to reach his potential. 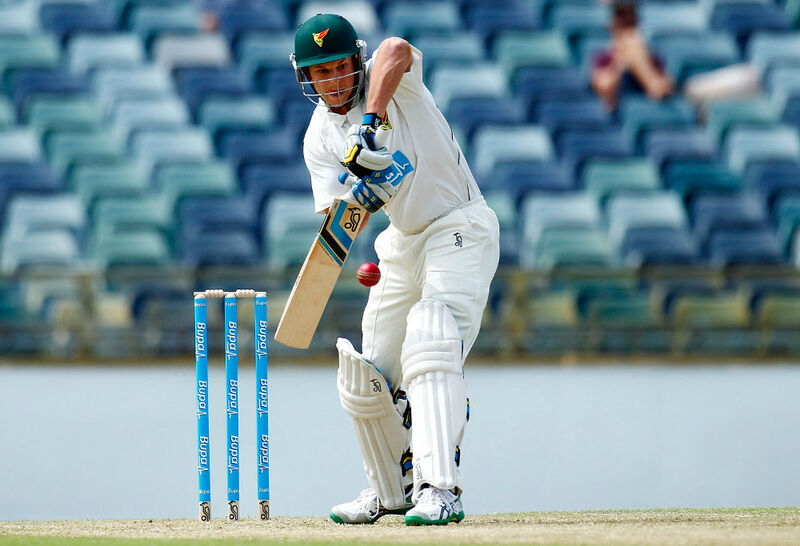 Paine’s first-class career has been in a downward spiral for the past three years during which he frequently has been left out of the Tasmanian Shield side. As it turns out, his omission from the Tasmanian XI in the first two rounds of this Shield season may have helped him earn his shocking reported Test recall. It allowed him to play for the Cricket Australia XI in their day-night match against England last week, during which Paine made a plucky 52 in the first dig in difficult batting conditions. When Paine followed that up with 71no for Tasmania against Victoria on Wednesday, after making a duck in the first innings, apparently the Australian selectors had seen enough. Test incumbent Matt Wade and Ashes keeping hopefuls Peter Nevill and Alex Carey were no match for the appeal of Paine, it seems. If the reports of Paine’s selection are correct, it will be particularly galling for Nevill. Over the past four Shield seasons, Paine has made 480 runs at 18, while Nevill has piled up 1,577 runs at 58, including five tons. Glovework cannot be the reason for Paine’s selection as he is no better behind the stumps than Nevill – both men are equally solid keepers. How, then, do we even begin to fathom Australian Test cricket’s latest selection farce?